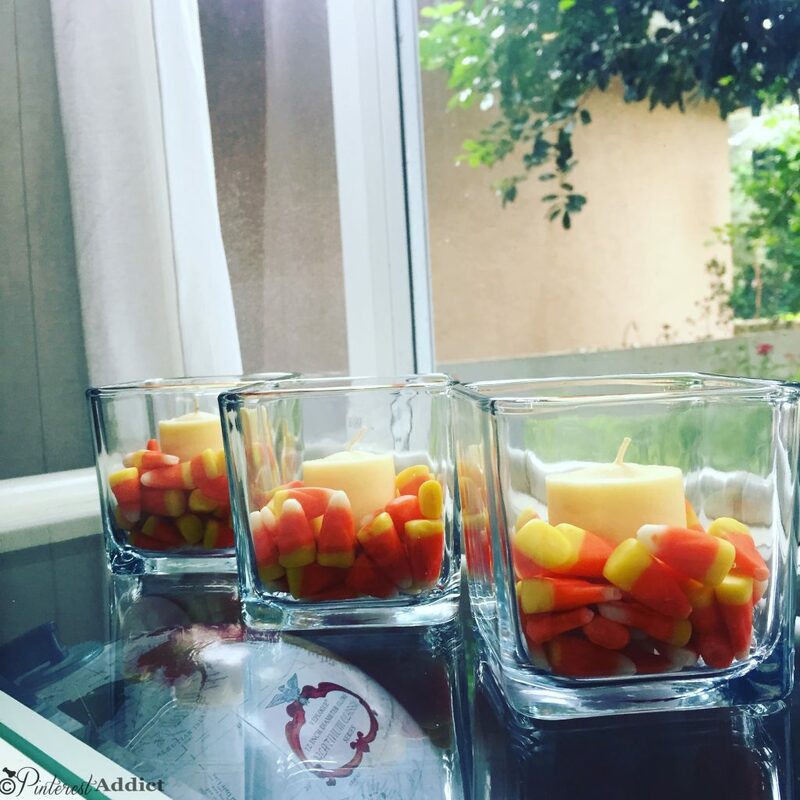 For all of you (me included) that aren’t the kind to go crazy each and every holiday with decorating our spaces, but still want a little touch of color and fun, this is the post for you! 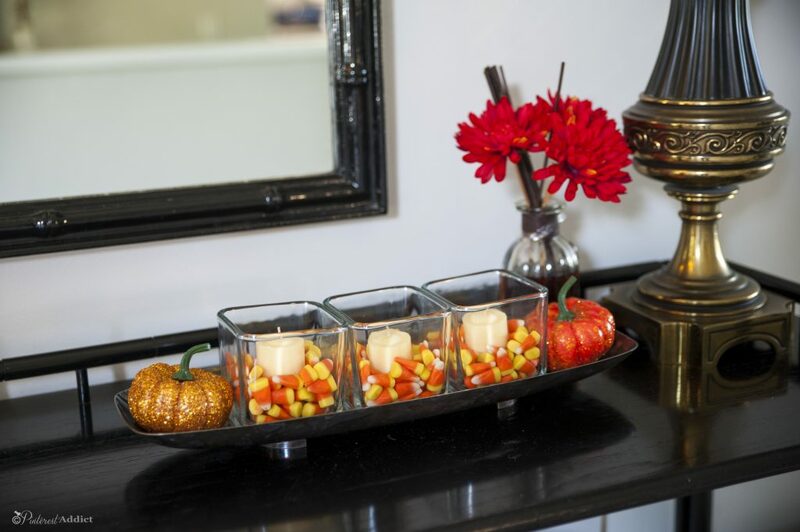 I’ve rounded up a few easy fall decor ideas that anyone can do, for just a little bit of cash. Fall is here, and while it’s still hot and humid here in South Florida, the rest of the U.S. is feeling cooler temps and seeing the leaves change. It’s probably the only time of year I wished we lived someplace slightly north. I miss the change of seasons that happens about now, when Mother Nature goes crazy with color. This one wasn’t as popular on Pinterest, but it’s one that I’ve used every year when setting our table every year. I think I’ve done about the same thing for our house every year, each year a little different depending on what I had on hand. This year, I took a couple of bags of dried beans, a one dollar candle and some dollar store fake flowers and made a pretty centerpiece. By the way, every year for Christmas, I make new cold packs for the kids to use instead of ice packs. 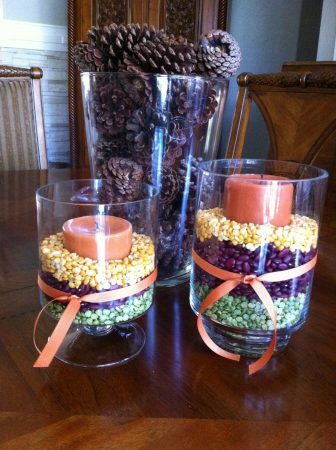 I use the dried beans from the centerpieces to fill them up, so they don’t go to waste. And finally, this year I went to the dollar stores in my neighborhood (I had to go to two different ones) and bought about $25 worth of fake flowers, 2 vine wreaths and two suction cups to create these wreaths. I was so happy with how they turned out. 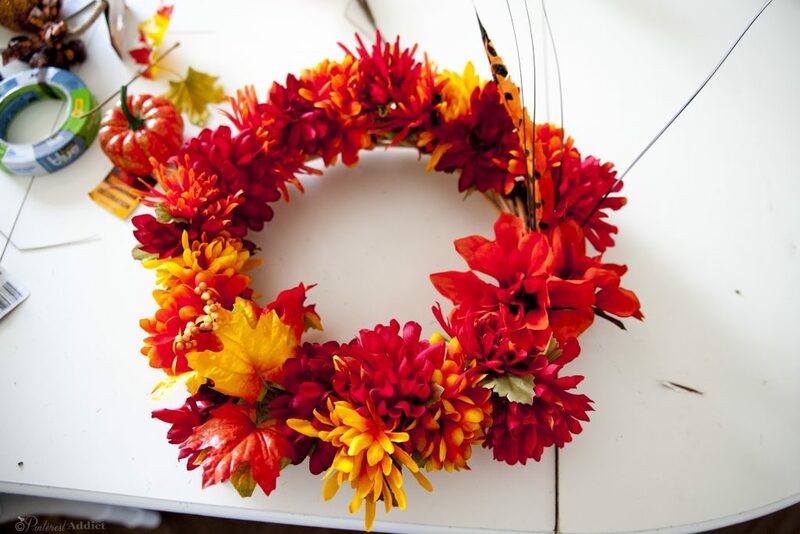 After seeing how much they wanted at the craft stores for their fall flowers, I can’t get over how inexpensive it was to make two wreaths from dollar store supplies! I get compliments all the time when people come over. While I think I would have liked them to be larger ( they look a little small for our front doors) I couldn’t find a bigger vine wreath frame at the dollar store. 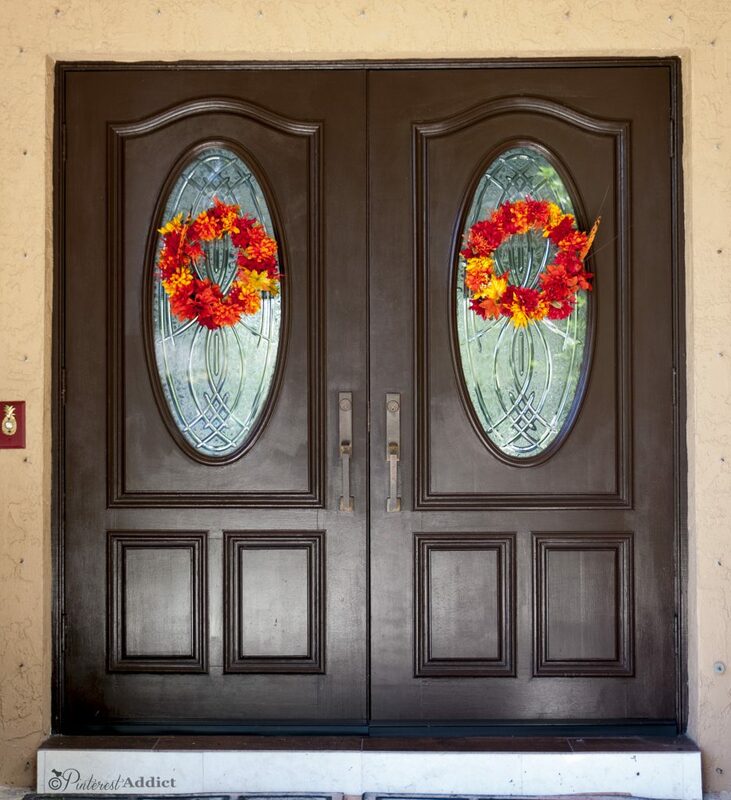 So, how much decorating do you do for Fall holidays? Do you go all out, or hardly decorate at all? 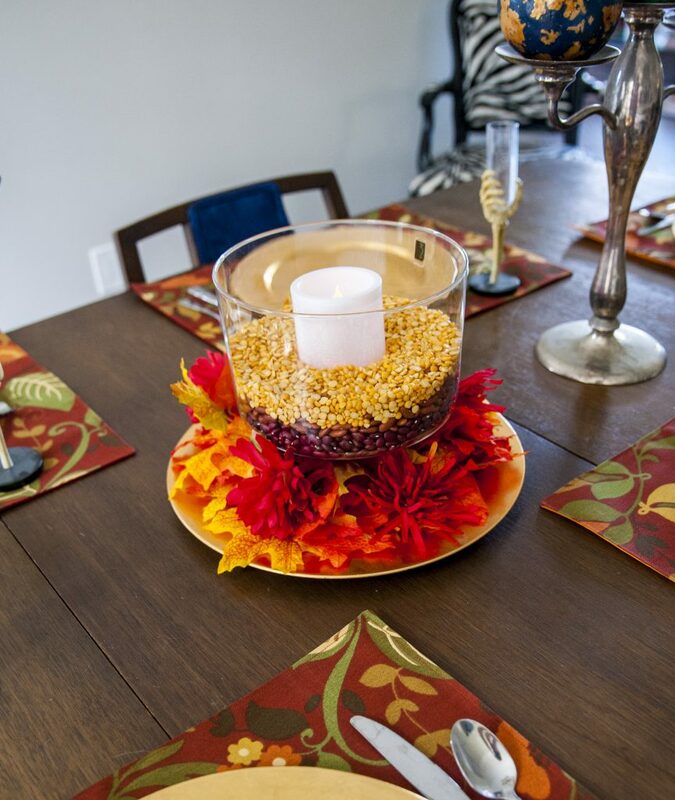 I hope you enjoyed my easy fall decor ideas. If you did, I’d love it if you’d share them with your friends! Absolutely elegant!!!! 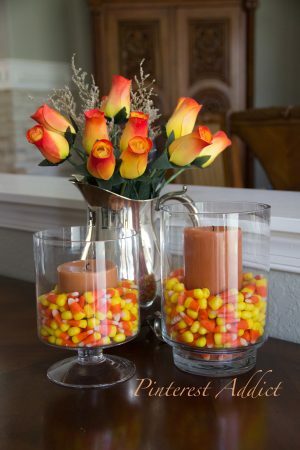 My kind of Autumn decorating!!!! 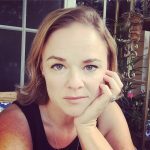 I miss your blog posts, but certainly understand that priorities change!!!! You are at the top of my list to look for everyday!!! !